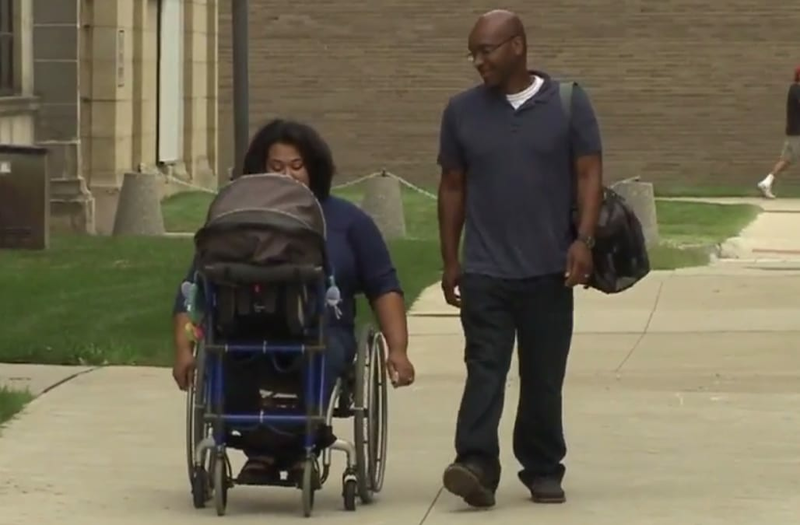 Michigan high school senior, Alden Kane, created an adaptable stroller-wheelchair so Sharina Jones, a disabled mother, could take her newborn son on walks. When Jones was just 5-years-old, she was accidentally shot by another child playing with a gun. As a paraplegic, she has been learning to adapt her whole life, which was just made a little better by high schooler, Alden Kane. This University of Detroit Jesuit High School student began developing the wheelchair-stroller in his STEM (Science, Technology, Engineering and Mathematics) class this past spring. After six months of intense commitment, Kane's prototype was a success. For both Alden Kane and Sharina Jones, bringing these ideas to life was such a rewarding experience. Great work Alden! We can't wait to see what you come up with next (in high school, college, and beyond).